“We didn’t set out to make a more death metal leaning record,” Inter Arma vocalist/lyricist Mike Paparo says. That’s not exactly what the band’s latest album, Sulphur English, is. But it’s a new frontier for the Richmond, Virginia metal band. 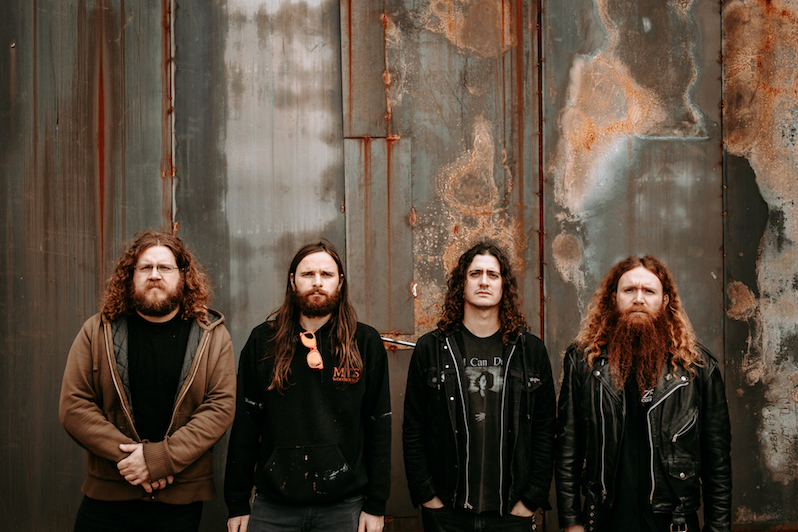 Building upon their brand of atmospheric brutality and further establishing themselves as a band without labels, Inter Arma has crafted an astounding work of rage in their latest record. Over the course of their career, the group have expanded upon their craft; whereas 2016’s Paradise Gallows harbored more of an atmospheric doom/sludge tone, Sulphur English offers listeners a visceral, grime-ridden presentation stirring with aggression and emotion. The distortion-fueled opening of “Bumgardner” paves the way for the ominous “A Waxen Sea,” the latter providing a murky progression that establishes the atmospheric hysteria to come moving forward. Paparo’s voice thunders over the instrumentation, giving off a haunting touch to the material. There’s still that use of sludge metal throughout the record, but it is that dungeon dwelling death metal quality that takes center stage throughout Sulphur English. “The overall feeling surrounding the writing process of this record was definitely darker and way more negative than Paradise Gallows too, and I feel like that also contributed quite a bit to the atmosphere and vibe of Sulphur English,” Paparo says. Sulphur English is a pivotal addition to the Inter Arma discography; not only does it display the band’s constantly evolving instrumental strengths, but it also stands as a unique lyrical work. From Paparo’s political frustrations to his internal struggles, his words blend with the band’s music and carry the listener on an emotional journey. Regarding his personal challenges, Paparo looks to music for guidance and meditation; with Sulphur English, he has helped to craft a record that represents the power of art: How it allows us to feel and explore ourselves.